You are currently browsing the tag archive for the ‘Financial Times’ tag. Congratulations Anatel, But More Action, Please! I sometimes get complaints that the blog is negative and too critical. That’s rubbish, I criticise when there’s a reason to criticise. However, I do like to think I give credit where it is due. And Anatel, the regulatory agency for Brazil’s telecommunications industry, deserves a pat on the back today for slapping a sales ban on three of the top four cell phone companies. Anatel told Oi, Tim and Claro that they can’t sell new lines to clients until they improve their current service. Anyone who lives in Brazil and has a cell phone will be overjoyed at the news. The cell phone companies here are a disgrace. They treat Brazilian customers like fools. Think I am exaggerating? Well, look at the difference with which Telefonica treats its clients in Brazil and the UK. In the UK, Telefonica owns O2. Last week, many O2 consumers were without cell phone service for 24 hours because of technical problems. What did Telefonica do? It offered those affected the “equivalent of three days back for the disruption as a gesture of goodwill and to say sorry,” according to this story in Yahoo. That’s three days free service. And if that weren’t enough, it will send every one of its UK customers a £10 O2 voucher to spend in one of its stores. In Brazil, meanwhile, Telefonica comes sixth on the list of most complained about companies (at least in Sao Paulo, the country’s biggest market and the only one I can find details for). 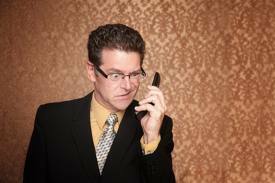 Three of the top 10 most hated firms are cell phone companies. See the 2011 list here. And what has Telefonica done to provide solace or reparations to those millions of long-suffering Brazilians? Nada. The Financial Times in this piece, suggests that the blame for the poor service in Brazil lies, at least in part, with Anatel itself. That might be true. But the bottom line is that the telephone companies have been abusing Brazilian consumers for years, providing a truly terrible service at inflated prices. Congratulations to Anatel for finally recognising that something should be done. I hope it’s the first of many similar acts. Pay On Time. Be Loyal. Get Screwed Anyway. Almost every day something happens to me in Brazil to remind me that I am rarely a valued client and nearly always just one more source of income for some money making enterprise. It could be the phone company pestering me to take more services, nondescript bars charging $60 entrance fees, or the local supermarket, asking if I want a store card and offering next to nothing in return. Last week it was American Express. I never wanted an American Express card because I object to paying for a credit card in a nation where the average interest rate is 238 % per annum. But I was forced to get one when I moved here because Brazilian airlines wouldn’t accept foreign Visa or Mastercards and I needed some local plastic in order to book flights. Last week, AmEx tripled the cost of my card. Just a year earlier it had gladly reduced it, acknowledging I paid my bills in full and on time. I wasn’t informed of the hike and they gave me no explanation when I called their 0800 number. But whatever happened, there is a lesson here for Bradesco and American Express in particular and Brazilian companies in general. Don’t punish your good clients and don’t treat them with disdain. The good loyal clients are the ones that will stay with you. We’re Only Here For The Beer. In Brazil?!? We’re only here for the beer. That’s not something you’ll hear tourists saying about Brazil. I don’t touch the stuff myself but connoisseurs (and lushes) tell me Brazilian beer is weak, fizzy and crap. Maybe that’s the reason so many people drink it on the beach in the morning. But beer is one of the thorny issues that separate FIFA and the Brazilian government as they prepare for the 2014 World Cup. Why, I hear you ask, would FIFA and Brazil be fighting over beer?It’s all explained here in my Financial Times blog. Beer is no stranger to controversy in the World Cup. In 2010, South African police arrested 36 Dutch girls who wore orange dresses given to them by the Bavaria beer company and accused them of ambush marketing. Another company had the rights to sell beer inside the stadium and they thought the girls were trying to get round that by drawing attention to themselves. (As if 36 stunning blondes in short dresses wouldn’t already be drawing attention to themselves.) The dresses didn’t even bear Bavaria’s logo. 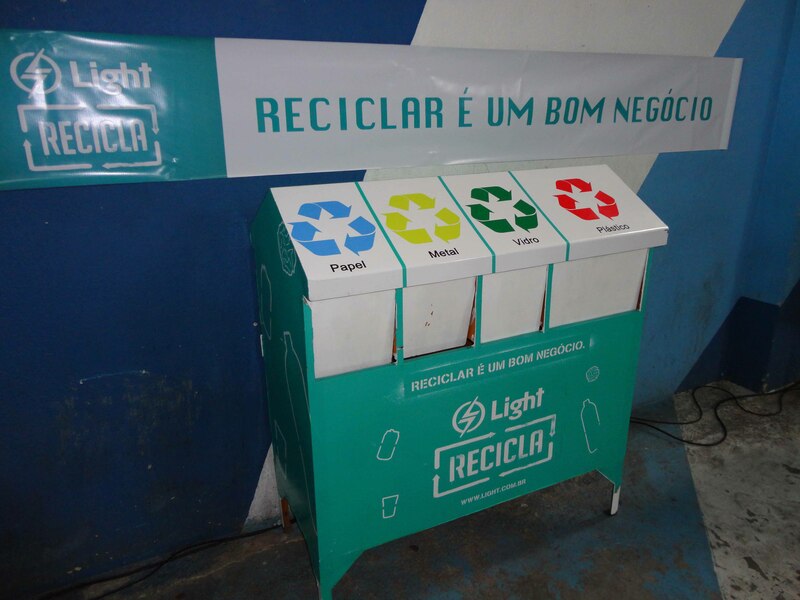 Brazil is one of the world leaders in recycling. In plastic bottles, for example, only Japan recycles more than Brazil. In aluminium, too, Brazil is out in front. Brazilians reuse 96.5 percent of all cans sold, a number far superior to Europe’s 62 percent or the United States’s 54 percent. In solid plastics, Brazil is the fourth largest recycler in the world and in glass bottles it is fifth. In steel cans, it is third behind Belgium and Sweden. Unfortunately, much of that recycling is not done by people picking through rubbish. It is not always carried out on an industrial scale and house to house collection is not common. There are a few companies trying to change that. 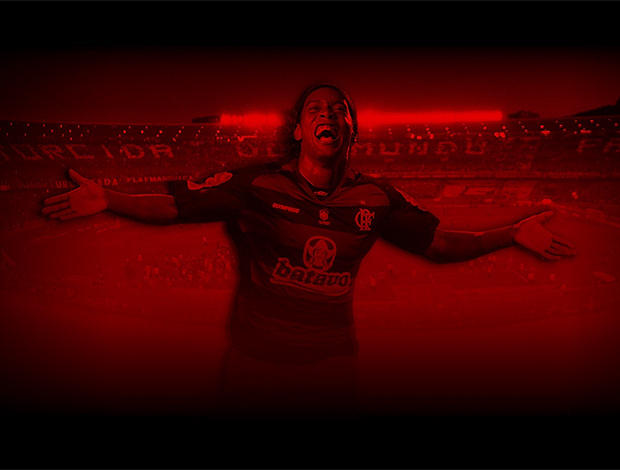 Coelce, the power company in Fortaleza, is one of them. There, more than 300,000 people hand over paper, glass, cooking oil and a host of other products in return for money off their electricity bill. The model is such a success that Light, the Rio de Janeiro power utility, is aiming to reproduce it, starting in the city’s favelas, as I explain here in a recent Financial Times story. A pilot progam run by Rio’s electricity company Light started last week in the Santa Marta favela. Police entered the favela at the end of 2008 and expelled the armed drug traffickers who controlled the area. The 6,000 residents now live in relative peace under the command of community police officers. “You don’t see drugs and guns any more but you do see lots of rubbish,” said Fernanda Mayrink, Light’s community outreach officer. Good luck to them. More such projects would result in more win-win situations. I wrote this piece on the Financial Times blog yesterday about the strikes and unrest at two big Amazonian dam projects and how this reflects the shocking way Brazilian companies treat their workers. And then today I saw this extremely timely story in the Valor newspaper. According to the piece, Brazil is apparently the only one of 42 countries that is refusing to sign a contract that would commit its multinationals to formally avoiding degrading work practices in the Great Lakes region of Africa. The area is rich in minerals and the deal would oblige big firms to treat workers there with a dignity they’ve not always been afforded. It’s a disgrace that Brazil won’t sign. There are few groups of people I have less respect for than Brazilian politicians. This is a group that collectively awarded themselves a 61 percent pay increase just weeks before the government announced 50 billion reais in budget cuts. It features such people as Romario, who skipped his first real test as deputy in order to fly back to Rio to play beach volleyball; Paulo Maluf, the former mayor of São Paulo whose name is a byword for corruption; and Tiririca, a TV clown who won more votes than any other candidate in spite – or because of – declaring he had no idea what lawmakers actually do. Brazilian Politics. Who cares? They’re all the same. The whole story can be read here. When I read that headline, Small Earthquake in Brazil’s Planalto, in today’s Financial Times I thought people in the capital were worrying about books falling from shelves and coffee spilling over. It turns out that the FT editorial was metaphorical rather than literal. The paper lauded the earlywork of President Dilma Rousseff for making her own mark on government, paticularly in the fields of human rights and the economy. The FT also praised Rousseff for making more spending cuts but it warned these are early days and there is much to do, such as reform Brazil’s ridiculously complex tax code, boost the savings rate and prevent inflation and interest rates spiralling out of control. The overall verdicton her first month was positive. Brazilian football players often return to Brazil at the end of their careers. They’ve made their fortunes and their reputations and they come back – often to their first clubs – and ease themselves into retirement. Just look at Ronaldo, who played only around half of Corinthians games last season because he was so overweight and uninterested. Now, more and more big stars are coming home at an earlier age – Ronaldinho is just 30 – and some are even coming back in mid-career. 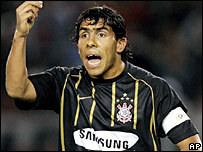 Robinho played part of last year at Santos and Adriano took a sabbatical from Italy and turned out for Flamengo. That’s something quite new. There are two main reasons for the change. One is that Brazil’s currency is strong enough that stars’ spending power is barely diminished by earning in reais. The second reason is that Brazil’s sports marketing has come on leaps and bounds and found new ways for sponsors to help clubs pay their top earners. Companies have cash because Brazil’s economy is booming and the middle class is growing fast. A fuller explanation can be found in this piece I wrote for the Financial Times here today. I finally got around to doing a press freedom’s story today that I’ve been meaning to do for a while. The story can be found here on the Financial Times Beyond Brics blog and is about the Folha de S. Paulo’s lawsuit against two brothers who spoofed it on a web site called Falha de S. Paulo. Falha means failure in Portuguese and the site attacked Folha for what it believes is the paper’s bias against the Workers’ Party. I personally don’t think that the Folha is Tucano (that is, supports the opposition PSDB party). I think the paper is against more or less critical of everything and I love it for that. Brazilian leftists, however, think that to criticise something is to be against something. I’ve had more than a few frustrating moments in Brazil when locals have accused me of being a right-wing conservative because I’ve criticised Lula or his government. They are unable to grasp the fact that I might be criticising, say, corruption or the lack of an education policy because I think corruption or the lack of an education policy is not a good thing. The Falha web site wasn’t brilliant but in a free society people should be allowed to spoof and satirise within obvious limits of abuse. More importantly, a newspaper like Folha – a paper that has built its considerable reputation on criticising the powers that be – should recognise that and respect it without recurring to censorship.